Waterton Parks Inns & Resorts present a journey through the majestic beauty of the world's first International Peace Park, Waterton-Glacier. 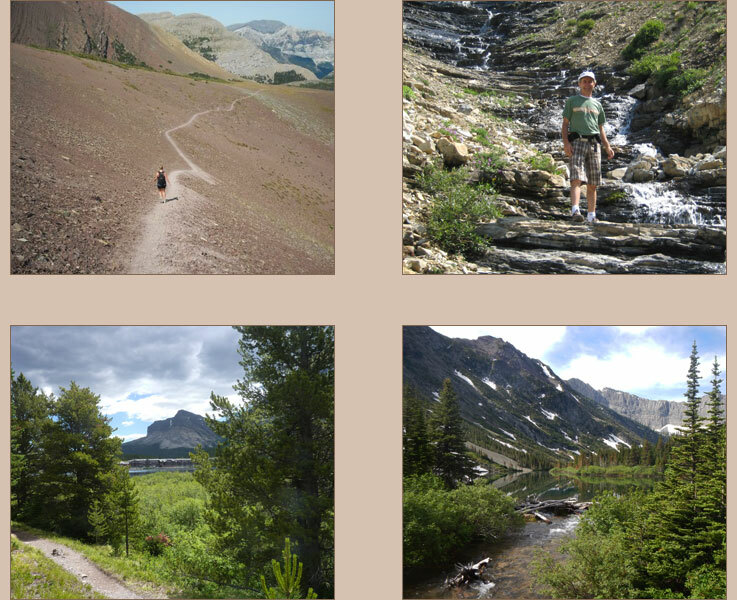 4 days, 4 trails, 2 countries- challenge yourself to two of Waterton's favourite hikes: Crypt Lake and Alderson-Carthew, followed by 2 of Montana's most scenic treks through the Garden Wall and Siyeh Pass. Sign up at Pearls Café in the Waterton Village and check out our glory board of those who have finished the challenge. Challengers also have the option of purchasing packages at the Aspen Village Inn for a bed and hot shower in between hikes. Also be sure to take lots of photos and submit them to our yearly photo contest. Please visit our Photo Contest page for more information.